Below the list of vaccines every after 50 years need. In influenza vaccine need all adults. Centers for Disease Control and Prevention (CDC) recommend vaccination by the end of October since it takes about two weeks for flu-fighting antibodies to develop in the body. 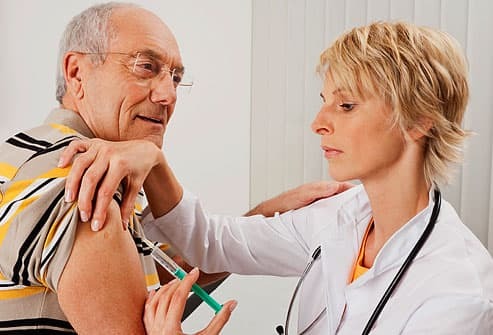 In pneumococcal vaccine need healthy adults ater 64 years, or adults after 18 years with certain risk factors and diseases (smoking, chronic lung or heart disease, leukemia, lymphoma or alcoholism). In Tdap (tetanus, diphtheria, pertussis) vaccine need people only once, and in the Td (tetanus, diphtheria) booster every 10 years. In shingles (herpes zoster) vaccine needs everyone after 49 years. In hepatitis A and B vaccines need people after 49 years at high risk for these hepatitis.